A Labor man who believed in ‘the gospel of socialism’, and who affirmed that it had been his lifelong theme to obtain social justice for the workers, Sid O’Flaherty was once expelled from the South Australian Labor Party. A decade later he was the party’s state president, a member of the Federal Executive, and number one on the ticket for the Senate, where he would serve for eighteen years. Sidney Wainman O’Flaherty was born on 2 July 1886 in Silverton, New South Wales, across the border from South Australia, shortly before his family moved to Adelaide, where he was brought up. His father Michael was a bootmaker, born in Camden, New South Wales; his mother, Clara, née Moore, was born in Yorkshire, England. Sid was well educated at the Adelaide Model School and the School of Mines, eventually taking up the trade of carpenter and working as a building contractor. Early in his working life he was a miner in Broken Hill where, in 1908, he organised a lockout. The next year he came to local prominence in Strathalbyn as secretary of the local Shop Assistants’ Association in a successful fight for early closing. He became an organiser of the United Labourers’ Union in 1911 and, for a time, secretary and manager of the Renmark Co-operative Society. In World War I he joined the broadly based Anti-Conscription League and campaigned strongly for a ‘no’ vote in the two referendums. This brought him to the attention of the South Australian Labor Party and he was endorsed for, and unsuccessfully contested, the seat of Angas in the May 1917 federal election. In January 1918 he gained preselection for the South Australian House of Assembly seat of Murray and was the only Labor member returned at the subsequent election, defeating the two sitting members who had left the Labor Party over the conscription issue. In 1915 Labor had won two seats in the three-member electorate. He lost Murray at the 1921 election. It would be twenty-three years before he entered Parliament again. During this period O’Flaherty was a tireless worker in the union cause, initially as an organiser for the Amalgamated Society of Carpenters and Joiners in the early 1920s, and eventually from a power base established through the state branch of the Federated Miscellaneous Workers’ Union of which he was secretary from about 1935 to 1944. He also ran the small Federated Coopers’ Union during this period. On several occasions he represented the union in award matters before the Commonwealth Conciliation and Arbitration Court. He was a popular and effective speaker most Sundays at the Labor Ring in the Botanic Park and showed talent for research and writing, producing pamphlets and compiling a modest account of the South Australian Labor Party. He also lectured to the Adelaide Plebs League during its short life. Later, when in the Senate, he was responsible for regular reports from South Australian Labor senators, published in the Workers’ Weekly Herald. O’Flaherty’s credentials with the left of the party were established during the turmoil of the Depression. He became an advocate of the Lang Plan, supported a successful Lang candidate for a by-election for the seat of Adelaide in July 1931 and, in 1932, was organising secretary of the Lang group in South Australia. At the December 1931 federal election he stood unsuccessfully for Hindmarsh as a Lang Labor candidate against Norman Makin (the sitting member and then Speaker of the House of Representatives). O’Flaherty and his fellow Langites had been expelled by the state council of the Labor Party in August 1931 in a purge that also saw the exclusion of all federal and state members who had supported the Premiers’ Plan, including the Premier, Lionel Hill, and Senators Daly and O’Halloran. After the fall of the Scullin Government in December, the Lang Labor Party in South Australia fractured, largely because of the autocratic personality of its chief organiser Douglas Bardolph. At one meeting at which Bardolph was present, pandemonium broke out when two ‘fighting women’ (to quote the Advertiser) took to each other with chairs. By April 1932 O’Flaherty had organised a conference that established a new party known as the Lang Australian Labor Party (South Australian branch) of which he was elected president. After Lang was defeated in New South Wales in June 1932, his lieutenants chose to recognise the Bardolph group as the legitimate Lang Party in South Australia. In September O’Flaherty, with a number of key colleagues, was readmitted to the official ALP. 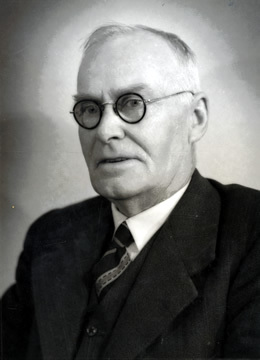 His preselection for the state seat of Barossa in 1933 marked his reacceptance into the mainstream of the Labor Party, though he was unsuccessful for Barossa, as he was for Thebarton in 1941. In May 1939 O’Flaherty was elected as one of the six delegates to the ALP federal conference in Canberra. (He was one of only two non-members of Parliament, a fact which may have encouraged his unsuccessful bid for Senate preselection in August.) He remained a delegate through most conferences between 1942 and 1955 (lining up as an anti-grouper delegate at the 1955 conference), and from 1942 until 1949 was one of the two South Australian delegates to the Federal Executive. In 1945 he unsuccessfully promoted a motion to put pressure on the Government to implement Labor’s financial policy, including the banking legislation, ‘as soon as circumstances permit’, and to use national credit to finance home building. He had finally won a seat in Parliament again with his election to the Senate in 1943 at the top of the Labor ticket. At the time he was state President of the ALP. In the Senate, O’Flaherty was a regular and consistent participant in debates over a wide range of subjects. He could claim particular expertise in industrial relations. In 1949 he reminded the Senate of his many credentials gained over half a century. These included his membership of the original committee that drafted the South Australian Industrial Code in the early 1920s. He supported the establishment of a federal basic wage for women. In 1956 he demonstrated his grasp of the arbitration system in debate on the Commonwealth Conciliation and Arbitration Bill. But he was also well informed on primary industry matters such as wheat, wool and meat, and mining issues including oil and uranium. He was an amateur gold and mineral prospector. As he told the Senate in 1944, ‘by all forms of transport, including camel, horse and motor car I have travelled probably more than any other member of this chamber through the interior of Australia’. He championed the Council for Scientific and Industrial Research, particularly for research that made land such as the ‘Ninety-Mile Desert’ of South Australia suitable for crops and stock. ‘I have camped in it at various times’, he said, somewhat romantically adding, ‘I have gathered beautiful wild flowers there’. He also spoke frequently on international affairs, defence, housing and social services. He advocated major constitutional change, having ‘taken part in every referendum campaign since federation [where] only piecemeal proposals have ever been submitted to the people’, and thought that a convention where the Constitution could ‘be placed in the melting pot’ might result in the abolition of state upper houses and the Senate itself. He believed in the supremacy of Parliament, even admitting to a ‘dream’ that the High Court would be abolished and an all-party committee of the Parliament would determine disputes over the interpretation of legislation. He supported civil liberties and totally opposed the Communist Party Dissolution Bill of 1950. He contended the bill was aimed at declaring all radicals as either communists or fellow travellers and was ‘seeking to smash the industrial and Labour movement’. In the end, however, he toed the party line and did not vote against it on ‘tactical’ grounds, prophesying that it would not work. The issues of tax, banking and finance were by far the greatest focus of his Senate work. From 1945 until he left the Senate in 1962, in Government and Opposition, he made a special study of banking and financial policy, which resulted in major speeches. Again, he sought to establish his credentials: ‘I took part in the first conference of the Australian Labour party in 1904, when it adopted the policy of control of banking institutions’, he said in 1945. He strongly opposed the Bretton Woods Agreement and Australia’s membership of the International Monetary Fund, but, as with the Communist Party Dissolution Bill, he swallowed his pride and in solidarity ‘bow[ed] to the will of the majority’ in the party room and voted for the International Monetary Agreements Bill of 1947. He loyally hoped that ‘members of the Labour party outside the Parliament . . . will also accept this temporary defeat’. He was on firmer ground in the party with his advocacy of the control of banking, supporting the Chifley Government’s 1945 Commonwealth Bank legislation, which made the Governor of the Commonwealth Bank accountable to the government. In debate on the 1947 Banking Bill he tackled the question of monopoly and media manipulation by the private banks, providing an analysis of the interlocking directorships of nine major private banks. He found the banks ‘so interlocked with other concerns’ that those who directed banking policy also controlled ‘shipping, coal, iron and steel, insurance, executor and trustee companies, newspapers, breweries and pastoral companies’. He returned to this theme during debate on the Reserve Bank Bill in 1959, this time producing a graph that purported to show how ‘at least six of the private banking institutions’ had links with major newspapers throughout Australia, as well as in radio and television. He did not stand for the Senate in December 1962, leaving at the age of seventy-seven; he had served as Opposition Whip since 1957. Sid had married on 16 April 1908 English-born Ada Hilda Barnard at St Peter’s Anglican Church, Broken Hill, when he and Ada were in their early twenties. They had three sons and five daughters—Doris, Irelane, Kathleen, Lorna, Michael, Mildred, Stanley and William. The eldest daughter, Lorna, acted as personal secretary to O’Flaherty during his years in the Senate. For a time the O’Flahertys had lived in Colonel Light Gardens where they occupied one of the original houses built under the ‘1000 Home’ scheme, the 1920s Gunn Labor Government precursor to the South Australian Housing Trust. In 1937, they moved to inner-city Thebarton, where O’Flaherty built his own house with the help of his sons, making the bricks on site. He lived there until his retirement, when he moved to seaside Christies Beach, taking an active role in the community as a serving Justice of the Peace and keeping tortoises to control the snails in his garden. He died at the Royal Adelaide Hospital on 18 November 1967, survived by his wife and children, reputedly twenty-nine grandchildren and a number of great-grandchildren. His funeral was followed by a memorable Irish wake. Jim Moss, Sound of Trumpets: History of the Labour Movement in South Australia, Wakefield Press, Netley, SA, 1985, p. 220; Labor’s Thirty Years’ Record in South Australia 1893–1923, Daily Herald, Adelaide, , p. 66; Sid O’Flaherty, A Synopsis of the Formation and the Historical Records of the Australian Labor Party, South Australian Branch, 1882–1956, Adelaide, 1956, p. 52; The editor is indebted to Paul Taylor and Heather Everingham, Murray Pioneer newspaper, for information. Moss, Sound of Trumpets, pp. 240–1; D. J. Murphy (ed. ), Labor in Politics: The State Labor Parties in Australia 1880–1920, UQP, St Lucia, Qld, 1975, pp. 271, 276–8. Workers’ Weekly Herald (Adel. ), 25 Aug. 1934, p. 2; Margo Beasley, The Missos: A History of the Federated Miscellaneous Workers’ Union, Allen & Unwin, St Leonards, NSW, 1996, p. 206; Federated Coopers of Australia, T48, E9/1–10, Noel Butlin Archives Centre, ANU; John Playford, History of the Left-Wing of the South Australian Labor Movement 1908–1936, BA Hons thesis, University of Adelaide, 1958, p. 53; Workers’ Weekly Herald (Adel. ), 7 Sept. 1945, p. 3, 21 Sept. 1945, p. 5, 5 Oct. 1945, pp. 3, 5, 12 Oct. 1945, pp. 3, 5, 14 Dec. 1945, p. 6. Moss, Sound of Trumpets, pp. 313–15; Don Hopgood, ‘Lang Labor in South Australia’, Labour History, Nov. 1969, pp. 161–73; Ralph Pettman, ‘Factionalism in the South Australian ALP 1930–1933’, Labour History, May 1975, pp. 22–30; Advertiser (Adel. ), 12 May 1931, p. 7, 7 Apr. 1932, p. 10, 28 Apr. 1932, p. 14, 30 Apr. 1932, p. 16, 2 July 1932, p. 21, 16 Sept. 1932, p. 21, 20 Sept. 1932, p. 10. ALP, Official Report of the fifteenth Commonwealth conference, Canberra, 1939; Workers’ Weekly Herald (Adel. ), 11 Aug. 1939, p. 1; Ross Fitzgerald, The Pope’s Battalions: Santamaria, Catholicism and the Labor Split, UQP, St Lucia, Qld, 2003, p. 126; Patrick Weller and Beverley Lloyd (eds), Federal Executive Minutes 1915–1955, MUP, Carlton, Vic., 1978, p. 292; Advertiser (Adel. ), 14 Aug. 1943, p. 6, 15 Sept. 1943, p. 5; Workers’ Weekly Herald (Adel. ), 2 July 1943, p. 5, 17 Sept. 1943, pp. 1, 5, 23 July 1943, p. 1, 8 Jan. 1943, p. 2. CPD, 11 Apr. 1946, pp. 1395–8, 27 Oct. 1949, p. 2163, 12 June 1956, pp. 1437–42, 13 Mar. 1968, p. 94, 18 July 1944, p. 79, 9 Sept. 1948, pp. 283–90, 8 Mar. 1945, p. 443, 1 Dec. 1953, pp. 204–7, 3 May 1961, pp. 755–6; Workers’ Weekly Herald (Adel. ), 8 Aug. 1947, p. 1. Workers’ Weekly Herald (Adel. ), 11 Aug. 1944, p. 7, 12 July 1946, p. 5, 19 July 1946, p. 8; CPD, 8 Mar. 1945, p. 448, 9 Sept. 1948, p. 287, 1 June 1950, pp. 3574–8, 6 June 1950, pp. 3675–7, 17 Oct. 1950, pp. 817–20. CPD, 28 June 1945, p. 3759, 25 Mar. 1947, pp. 1068–70, Workers’ Weekly Herald (Adel. ), 24 Jan. 1947, p. 3; CPD, 21 Nov. 1947, pp. 2434–6, 8 Apr. 1959, pp. 634–9, 14 Mar. 1962, pp. 522–4, 13 Mar. 1968, pp. 94–6; Pauline Payne, Thebarton Old and New, Thebarton City Council, 1996, pp. 87–8; Advertiser (Adel. ), 20 Nov. 1967, pp. 7, 32. This biography was first published in The Biographical Dictionary of the Australian Senate, vol. 2, 1929-1962, Melbourne University Press, Carlton, Vic., 2004, pp. 302-305.